Jimmy John’s Gourmet Sandwiches, is a fast-growing restaurant chain that specializes in delivery. It uses all-natural meats and fresh local produce to prepare their popular sandwiches, which is also their main selling point. The restaurant was officially founded by Jimmy John Liautaud in January 1983 with his father as a partner. With the former owning 52% of the share and the latter 48%, Liautaud finally started his business. May of 1986, bought his father’s shares to get full ownership. As of December 2016, there is a total of 2,630 Jimmy John’s located all over America, and it is lauded by Nation’s Restaurant News as one of the fastest growing restaurant chains. It was also named second among the Most Popular Restaurant Business Meals by expense reporting program Certify. Jimmy John’s offers a generous amount of benefits to its employees. Benefits such as paid time off vacation, health, vision, dental, and life insurance, and 401k. It also offers a performance-based competitive compensation, the potential for advancement within its departments. Jimmy John’s is a great place to work part-time in since the atmosphere is laid-back and friendly. The work is fast-paced and rewarding. Managers are also known to be friendly and provide on-the-job training for new employees. How old do you have to be work at Jimmy John’s? Jimmy John’s usually hire 16-year-olds at the minimum for work as entry-level in-shoppers. However, independent franchise owners may have a different policy. Applicants seeking managerial and other positions are required to be at least 18 years old. Jimmy John’s offer a variety of job opportunities from entry-level to mid-level. From being an inshopper, driver, or guerilla specialist, to higher positions such as manager and business coach. Below is the summarized description of the common positions available at Jimmy John’s. Inshopper: an Inshopper at Jimmy John’s is responsible for providing excellent customer service: from greeting them at the door with a welcoming smile, attentively listening to their needs, and serving them their orders accurately. They are also responsible for creating the sandwiches and keeping the premises clean. Bike Delivery Driver/Delivery Driver: a Delivery Driver at Jimmy John’s is responsible for bringing delivery orders as safely and as quickly as possible in the restaurant’s delivery area, whether on a vehicle or on a bike. They are also in charge of checking each individual order for its accuracy and quality. When there are no deliveries, the delivery driver acts as inshopper, with the same responsibilities. Receptionist: a Receptionist at Jimmy John’s is responsible for welcoming visitors, answering and screening calls, and referring inquiries. They are responsible for directing visitors, maintain employee directories and their schedules, and other such tasks. Assistant Manager: Assistant Managers at Jimmy John’s assist in the restaurant by leading as an example to their teams, and by performing their day-to-day tasks to near perfection. They are also in charge of assisting inshoppers and guiding them as well as provide excellent customer service. General Manager: General Managers manage the hiring, training, evaluating, and the termination of employees. They are also in charge of taking note of the inventory, completing paperwork, and the maintenance of the restaurant. They are given the right to delegate tasks, as well as making sure that all employees are doing their absolute best. Business Coach/Franchise Consultant: Business Coaches at Jimmy John’s act as consultants responsible for assisting franchise owners in increasing their sales and reducing their operational costs. They are also responsible for ensuring that each franchise location’s brand consistency and operational excellence are up to par with that of the main restaurant’s so that the owner’s investment returns with twice the profit. HR Assistant: HR assistants at Jimmy John’s are responsible for assisting in recruitment and payroll. They schedule interviews, screen applicants, and check their references. Assists through creating, organizing, and filing reports and documents. Must have a working knowledge of Applicant Tracking System, California Laws, and Regulations, and ideally have 1-3 years of HR Assistant experience. HR Generalist: HR Generalists at Jimmy John’s handle every aspect of human resources such as benefits, labor relations, safety, performance management, and the well-being of employees. Must have a working knowledge of Applicant Tracking System, California Laws, and Regulations, and ideally have 3-5 years of HR Generalist experience. Training Manager: Training Managers are responsible for coaching 3-5 trainees through a grueling two-week training program designed to produce excellent employees that ensure the world-class consistency, quality, and excellence of the Jimmy John restaurant, is preserved. The training ranges from completing inventory and paperwork to kitchen skills such as slicing vegetables and meat for the sandwich. Guerilla Marketing Specialist: Guerilla Marketing Specialists at Jimmy John’s are responsible for constantly visiting franchise owners and their operators in order to coach them on how to market themselves locally through product sampling. They operate in rotating teams of 2-3 and spend at least 46-48 weeks each year traveling from one franchise to another. Applicants can apply at Jimmy John’s by visiting branches in person or they can also opt to visit Jimmy John’s official site in order to view and browse available positions. Jimmy John’s accepts both in-store applications and online applications. Applicants can apply online by visiting Jimmy John’s official website and clicking the job link at the bottom of the homepage. Resumes should highlight strengths, willingness to learn, and the drive to be one of the best employees. It should also highlight the dedication of the applicant to provide excellent customer service, and the ability to build rapport with customers, colleagues, and other such personnel. In order to make a good first impression to succeed in the interview, applicants must be dressed professionally. They should also take care in listening carefully to the interviewer. Interpersonal and memory retention can be tested in the interview. Use appropriate language, take the time to answer the questions carefully, and don’t hesitate to ask questions. The culture at Jimmy John’s is that of a for-profit company. Jimmy John Liautaud sets achievable goals for his team in order to build up their confidence and productiveness. Success is celebrated, and failure is taken as a challenge to overcome. 25% of the profit is shared with their managers in order to enrich the enthusiasm of his team. In 2015, Nation’s Restaurant News released an article wherein Jimmy John’s is the No. 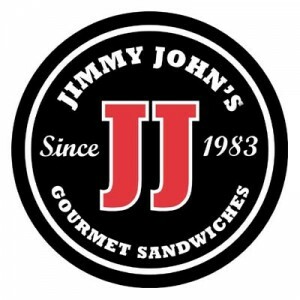 7 fastest growing food chain in NRN’s top 100. in 2017, Jimmy John Liautaud was awarded “Dealmaker of the Year” by Franchise Times for selling a stake to the Roark Capital Group. He was also awarded the Horatio Alger award in 2018. Jimmy John’s is known for it’s clean, delicious, and freshly made sandwiches. It is also known for express delivery and its effective system that Liautaud promulgated. Jimmy John’s gives back to the community by providing funds for the initial start-up costs and operation costs of Francis Nelson SmileHealthy, a dental clinic in Champaign, Illinois, which provides dental health care for adults with limited income, and by donating significantly to philanthropic organizations such as American Heart Association, and Cystic Fibrosis Foundation. They also donate to hospitals such as the Mayo Clinic, St. Jude Children’s Research Hospital and the Children’s Hospital of Philadelphia. 1 How old do you have to be work at Jimmy John’s?